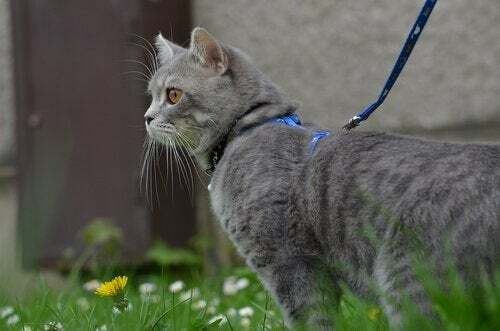 Considering they have such divergent personalities, it is logical to think that taking your cat for a walk on a leash is not going to be as easy as it is to do with a dog, who is always ready to accompany his master. Cats and dogs are lovely pets, and their attributes make them great additions to many families. 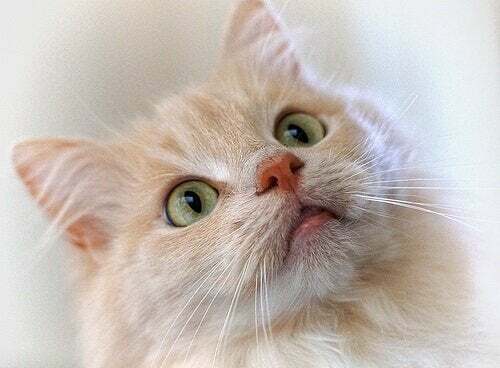 They are, of course, quite different in many ways, and today we’ll be looking at the differences between cats and dogs and what we can expect from each one of them. What are the differences between cats and dogs? Felines are much more independent animals than dogs, and they have a much greater tolerance for loneliness. In fact, if a cat has food and water, it can be alone for about three days without any major problems. For their part, dogs need to be much closer to people, especially to their owners. A dog requires permanent care and attention, and this is because loneliness is a source of stress and sadness for a dog. The lack of company causes them a lot of anxiety. Cleanliness is another area where there are marked differences between cats and dogs. Although it’s fine to bathe them both, cats can get easily stressed at bath time. However, this doesn’t happen in all cases, as it depends on the individual animal. Cats clean themselves with their rough tongues. 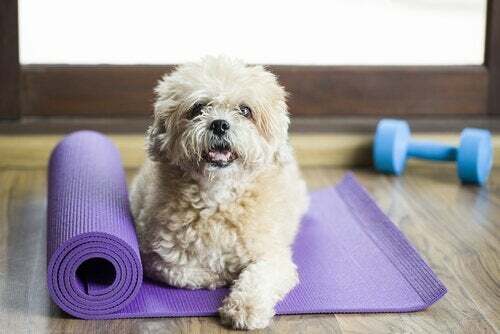 In this way, they don’t need to have a bath as frequently, whereas with a dog you do have to set up a bathing routine. 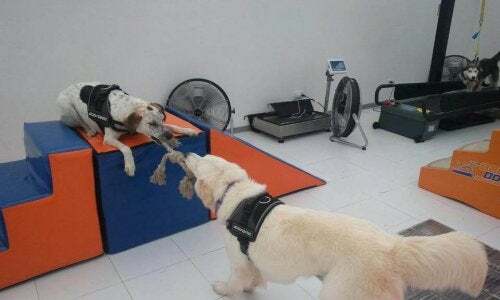 The processes of training and taming are different in each case. Felines are pets that will rarely allow themselves to be tamed, because they believe that other people should serve them and live for them. However, with great dedication, it’s possible to train a cat reasonably successfully. On the other hand, it goes without saying that dogs are completely the opposite. They have a magnificent learning ability, and adapt wonderfully to their owner’s instructions. Dogs are pets that demand affection and pampering. Cats, on the other hand, have much greater autonomy and only seek affection when they want it. They will choose how, when, and from whom they will receive affection. Cats usually also have a space just for themselves, which they jealously guard. Dogs, on the other hand, are much more open in this sense, unless there are other dogs in the home. 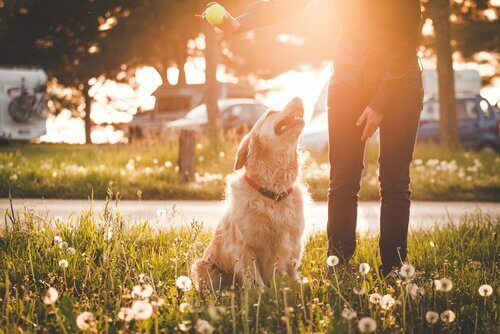 When we think of a dog, the image of a playful animal comes to mind. Cats, however, are much calmer, and have a rather special, individual personality. To entertain them, you need to appeal to their hunter instinct; the best games are those in which they pretend to catch prey. It’s clear that, unlike cats, dogs have a greater need to go for a walk. Dogs need to expend much more energy than cats, who lead a more tranquil life. 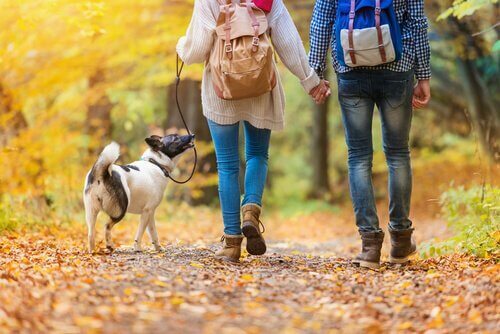 A dog’s need to exercise is why it makes them a lot easier to take out for walks. Likewise, dogs are more obedient pets. Cats, on the other hand, have their own rhythms, and for this reason, trying to take them for a walk is a great challenge for the owner. Dogs, for their part, know that they have to do what their owners do, whether it be stopping or moving. This point is a fundamental difference between the two, because dogs usually obey when reprimanded. This makes things easier on the street, if a there is a fight with another dog or some other unforeseen event occurs. On the other hand, unless you really put in a lot of effort, cats are not given to obeying orders. However, training a cat is not an impossible task. If you have the intelligence, the preparation, the patience and the available time, then you can try taking a cat on a walk. We advise you not to take them for walks if they aren’t sterilized or if they are on heat. It’s very important that you walk your cat in a place where there are no dogs that could chase him. In fact, the best thing is to choose an area where there are neither people nor animals, at least during the cat’s first few walks. In short, each cat has a unique personality, and getting to know it is challenging. 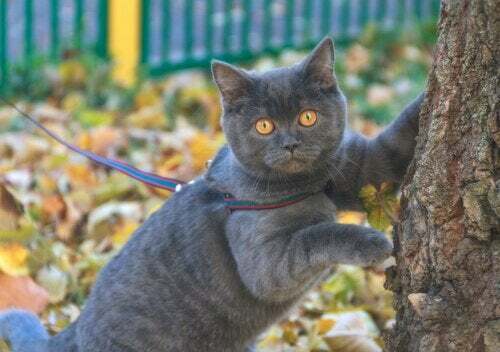 So, while walking a cat is not common, it isn’t impossible either. As always, it’s a good idea to check with your vet first, and they will give you the necessary guidelines and recommendations.